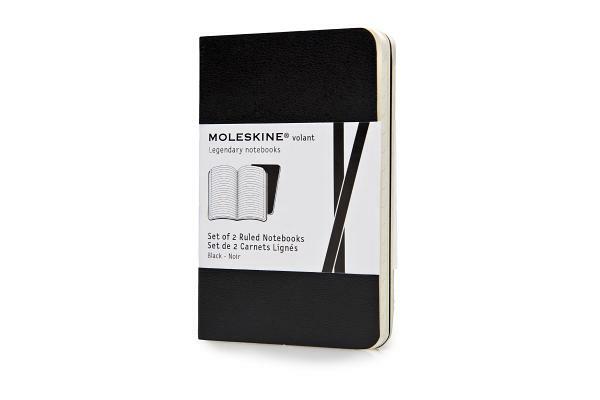 These Extra Small Moleskine Volant Notebooks come packaged in sets of two, with a lighter and darker shade to suit your mood and are ideal for everyday notes and thoughts. Each set comes with acid free ruled paper and includes the Moleskine history. - Dimensions: 2-1/4" x 4"